Shabibi Shah left Afghanistan almost exactly thirty years ago – in March 1983. 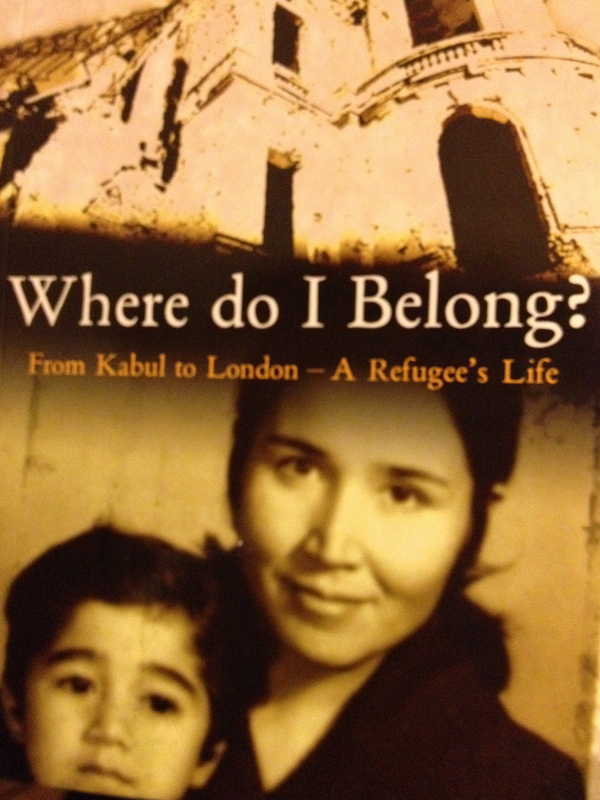 The slim book, Where do I Belong?, is about Shabibi Shah’s life in Afghanistan and then as a refugee. The tale is written with precision and in English, a language Shabibi mastered in her late forties. She is a published poet in her own language of Dari, and is careful with words. Shabibi was born in Kabul 1947, the youngest of four. Both her parents were illiterate and her mother died when she was seven. Shabibi, and the brother nearest in age to her, stayed with their father in Kabul and then moved with him out of the city and into the country. Her other siblings went to live with their aunt. Shabibi loved school and progressed swiftly. In 1964, encouraged by her government she, and many other young Afghan women, enrolled in Kabul university. Four years later, by then married and with one son, Yama, she graduated with a degree in journalism. She went on to become a college lecturer, juggling her part-time job with the care of her children. Her husband, Zafar Shah, was an influential journalist. Around them the Afghan monarchy began to weaken and Russian influence to seep into national politics. Zafar faced increasing danger. His writing and criticism of the authorities led to his repeated imprisonment and to a series of mental breakdowns. Shabibi was left to deal with the children, with the prisons and with the courts whilst Kabul became unpredictable and dangerous, especially for women. In 1982 their third child Sulaiman was born. It was to be their last year in Afghanistan. The following March they fled over the mountains into Pakistan and then eventually on to London. This story is of hardship but it is not a miserable one. It allows us to witness lives picked apart by politics in a land that many of us will only meet in the news. There is little self-pity, and grief is confined mainly to the short poems at the start of each chapter – torn reminders of what has been lost. In 2004 Shabibi went back to Afghanistan for a brief visit. She found that the culture had changed and so had she. Now she has decided to remain in London but like many millions of refugees around the world she still feels displaced, her sense of belonging sacrificed long since. To purchase a copy of the book Where do I Belong? (published in a revised second edition in 2008 by Longstone Books, 33 Theatre Street, London SW11 5ND) please contact shabibishah@yahoo.com. The price is £6.99. This entry was posted in Books, Non-fiction, Reviews and tagged Afghanistan, dignity, journalist, Kabul, refugee, Shabibi Shah, stability, Where do I Belong?. Bookmark the permalink.